With 2013 right around the corner, thought it was time to get started on something new. 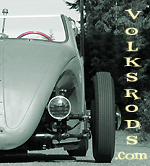 The '37 volkster is still occupying half my garage but it is expected to leave come the end of March. Many of you have seen this rendering done by John J. for Bigguy and since the first time seeing it, I knew it was something that needed built. With their expressed permission, and a little creative alteration, I decided to keep the air cooled in the rear. 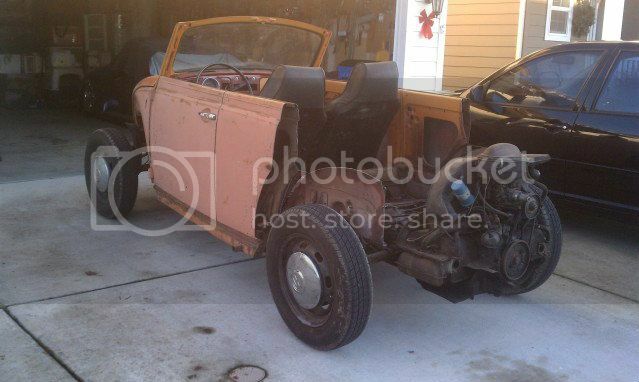 A little over a month ago I found a local '68 convertible. Running and driving with bad floorpans and a damaged canvass top. A deal I just could not pass up. Much to my wife's dismay and utter disbelief, it followed me home. With vacation, holidays, no welder and the Volkster occupying my garage space, it's been sitting idle....Although, I wasn't. 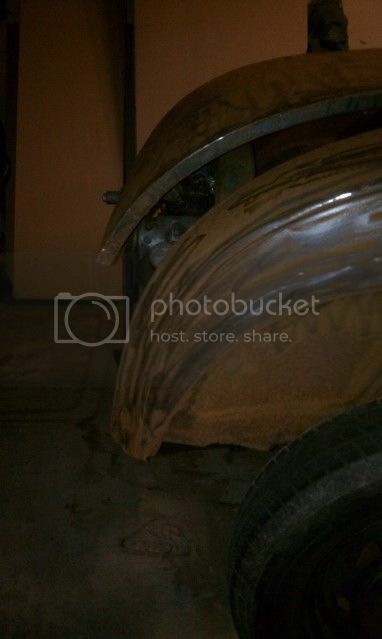 I have been busy scouring Craigsjunk and interweb for the ever elusive 1930/31/32 original steel Ford parts produced in the way of the rear quarters and trunk lid. 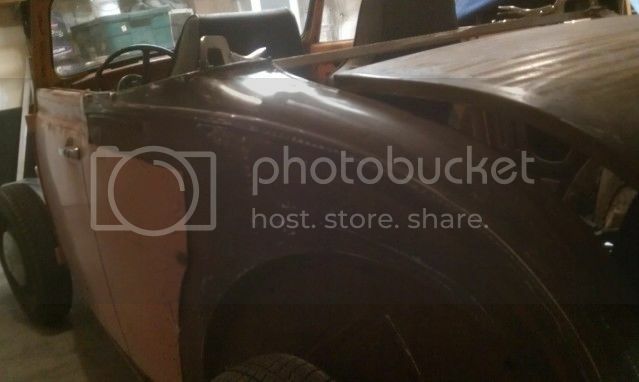 Much to my surprise, I found the rear roadster quarters and trunk lid...locally. Another good deal that I just couldn't pass up. Now I have some place to start! Once the '30 rear quarters and trunk lid get set in place, then I'll be able to determine how much to section and (if needed) narrow the entire body. I have never narrowed a body before so this should be fun. 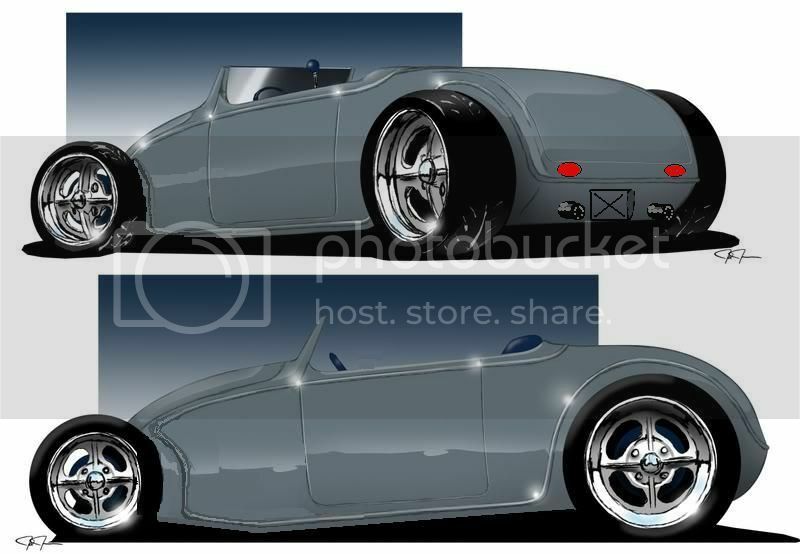 Now for those of you who know where the wheel well arches are on a '30 Ford quarter panel, and the rendering above, I know you are thinking the quarter panels will not extend beyond the motor, let alone any exhaust system. And you would be correct. I'll get a new build thread started come the first of the year. I will also get some cross bracing stretched across the body in due time...no worries. I am NOT a professional! That will be cool as hell! This will be an epic build. Looking forward to watching it come together. Looks like a cool project and I know you will do a great job with it. Very cool! My bud Tom and I have been talking about doing one as well. EVERY project build Mark does is EPIC! Lookin forward to watching this one as all those before it. Well hell, is it done yet? No it's not done yet...but getting closer! Fernon, if you'd spend more time...you know, working on the thing, you might get yours done! Hah! Spent a little time today measuring a few things, scratching a few things and then got to it. 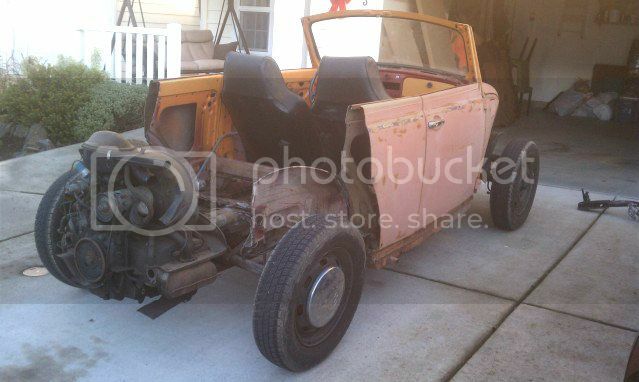 1) How much taller is the bug body to a model A. 2) How much of an extension needs to made out behind the rear wheel arches. 3) Will I need to narrow the body to match the rear? Much to my surprise, this thing is going to fall together! 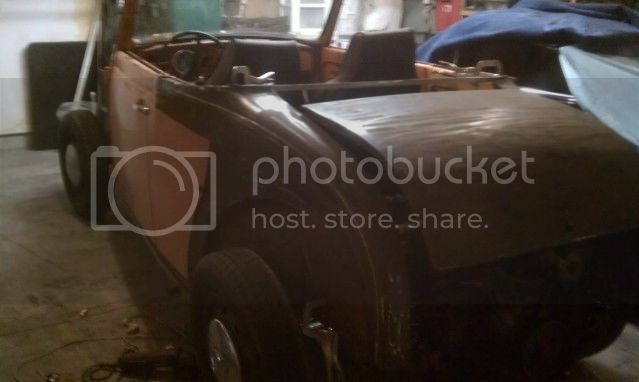 Slide the Coupe quarter panel between the inner and outer remaining bug quarter panels. Made a quick slice just below the bug body line on the quarter panel and it fell in to place. The Model A quarters are sitting about 3" back from the B pillars and in doing so, the wheel well arches are centered around the rear wheels. Pretty freaky. What was even more weird is the bug wheel well arches I left, line up almost perfectly to the backside of the model A wheel tubs. Once the quarters are in the proper location, the bug quarter skin will get stiched to the coupe quarters. 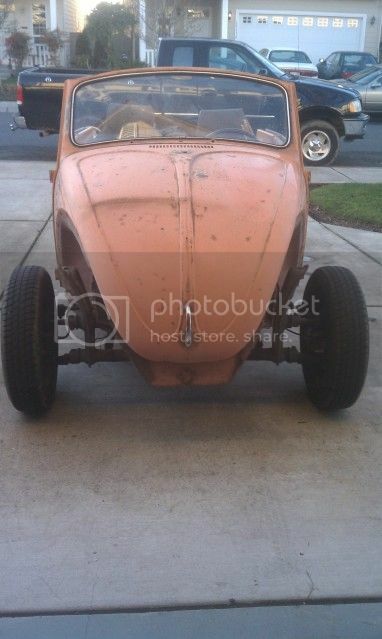 One other surprise is the bottom of the wheel arch is in the excat spot of the bug...wait... did I say that already? Anyway, it's super neat! Then hinged the trunk lid with a couple of bolts, closed the trunk and here's the situation with the motor interference. Only need to extend the rear quarters 5". That's not bad and was expected. It shouldn't throw off the proportion too much. It should only look like it's got some "junk in the trunk." The answer to my last question #3 is: NOPE! PHEW!!! 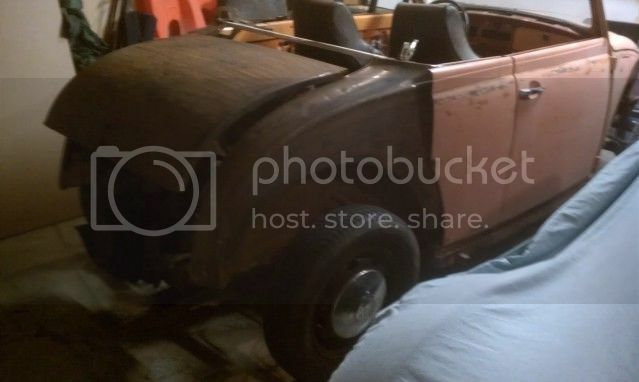 You might be asking about the continuation of the Model A body line traveling forward across the doors and along the front quarters, yes it will. Are you wondering about the bottom body line and the radiused bottom door corners? Yes, but one step at a time. However, before going too much further, I need to pick up some steel wheels and taller rear tires to make sure everything will work togther. Maybe I'll get that HUGE windshield chopped down? YIKES! Maybe get the bug dash removed to make way for the Model A dash? So many things. THEN it will be done...geez! the rear wheels back, reducing the overhang ? The Buggy guys do it. Is it done now? Well????? So to stretch the rear, are you going to start right up at the rear cowl and pull the whole rear back, leaving the rear wheel wells and arches where they are? Take an arc foreward between the body line and the wheel arch at the rear. Last edited by HeidelbergJohn4.0; January 2nd, 2013 at 02:50 AM. Hmmm, just thinking...use a bus trans, rotate the redux 90 degrees to the rear, add an extender/adapter to the back of normal mounting position. Lower bus gearing would allow much taller tires to bring final ratio back to usable highway gearing. ?? Some older trucks had chain driven rear axles. Would it be possible to have "reduction boxes"? But instead of vertical and gear driven, horizontal and chain driven? Or a series of gears to get you the 5 inches? Lengthen the swing arm and have the live axle and stub axle pivot on the same arm? How much would Redux boxes get you ? IIRC, Fraz converted his to sealed bearings. If you can rework them to lay flat, you could probably gain a good 4-5" of length, not sure about the width. That wouldn't do anything to help, he is trying to get the body to cover the motor and have the wheels centered in the Ford wheel wells. Also, IIRC converting to a rear disc brake kit adds 1" per side as far as width goes. I do believe you can get longer axles. That may just be the wide 5 though. Also, IIRC reduction boxes as they are only add 3". Used to be a poor man's "lift" for the swing axle Bajas. Allows you to run a taller tire. But still, IMHO that reduces the amount of changing the body lines significantly. The smaller that is, the less noticeabe. Should keep it all more proportionate. Just for grins, I did a couple of quick modifications to my original design sketch.... eliminating the front engine and then do both rear extensions that have been discussed in order to keep it rear engined. Top view is the original sketch with just the front engine eliminated. 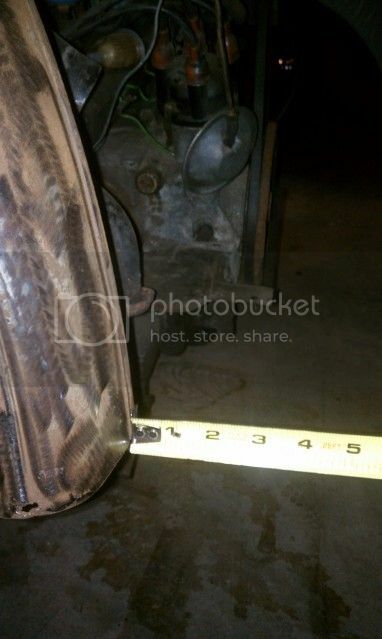 The middle view is with the body and the wheel base extended rearward, whether with sideways reduction boxes or extended trailing arms, or what ever. 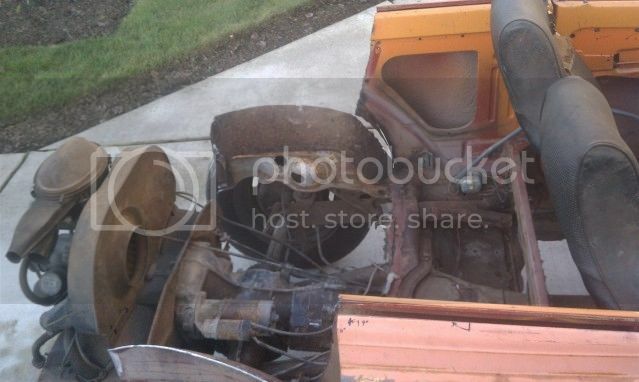 The bottom view is with just the body extended rearward to cover the engine. In my opinion neither of the extended options have proportions that are as good as the original sketch. 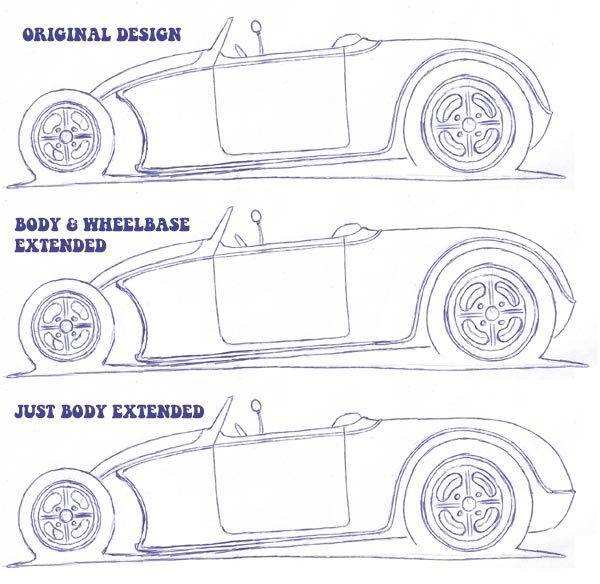 If I had to pick one of those two options I would go with the extended wheelbase (middle view) before just extending the body. Just too much "junk in the trunk" with that one.